...And this time it's starring in its own movie! As if there weren't enough Pokemon already (seriously, there are way too many to keep up with!) there's a brand new Pokemon on the horizon. 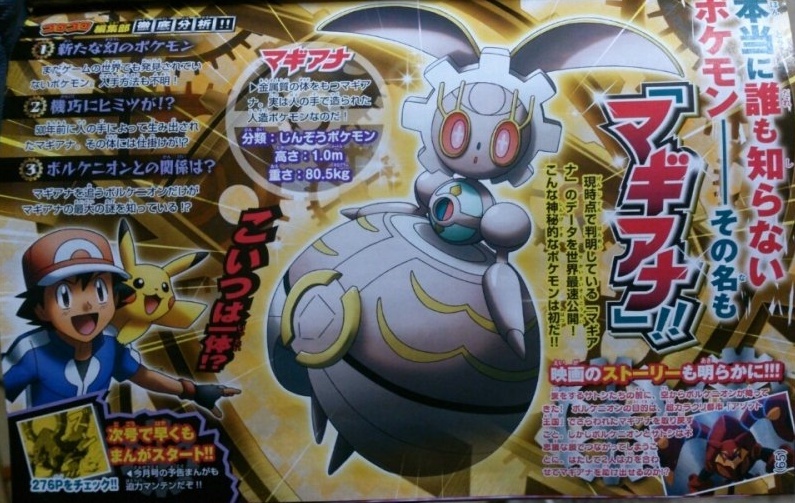 It called Magiana, and there's a sneak peek of it right now in an upcoming issue of CoroCoro Magazine. The kicker is this Pokemon is actually manmade. Crazy, right? It was created over 500 years ago, and it's got a metallic body. How does one make a Pokemon, anyway? 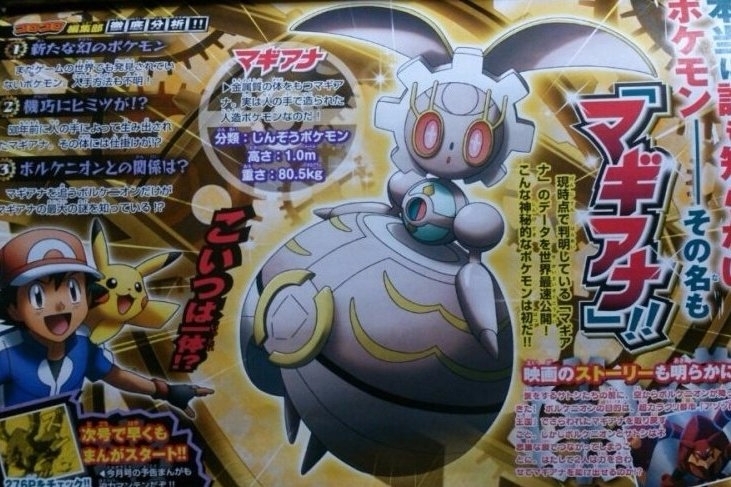 Magiana will be making its appearance in the upcoming Pokemon movie Volcanion and the Exquisite Magiana, but I'm still over here trying to figure out what's going on with it. Man-made, huh? I guess I don't really understand the logistics of all things Pokemon as well as I thought I did.